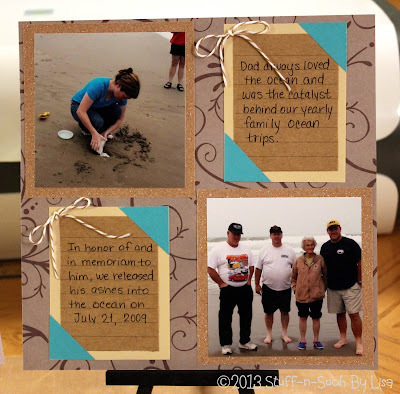 My Father-in-Law, Ray, always loved the ocean and was the catalyst behind our yearly family ocean trips which more often than not included not only immediate family, but extended family and friends as well! Before he passed away, he was so hopeful that he’d be able to make that one last ocean trip, but sadly he didn’t make it and although our hearts were broken, we all decided to make the trip anyway and use it as an opportunity to honor him and memorialize him at his favorite place! I was particularly close with my FIL and after he passed in May of 2009, I was struck with a deep depression and found myself struggling to get through the day and find any joy in life. My husband was struggling also, as he was very close with his Dad. I managed to make a few scrapbook pages after he died, but then just found it too depressing to think about it and I just stopped working on the scrapbook I had started about him. 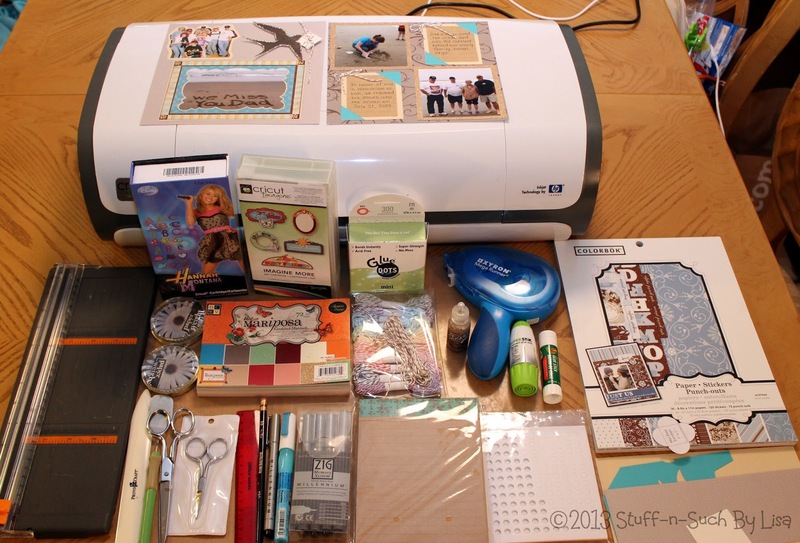 Recently, I read about a scrap challenge at Scrapping Everyday Miracles and it really inspired me to open that scrapbook up and work at it again! The challenge was "Sad Moments" and when I read about the details, I KNEW I had to do this one! 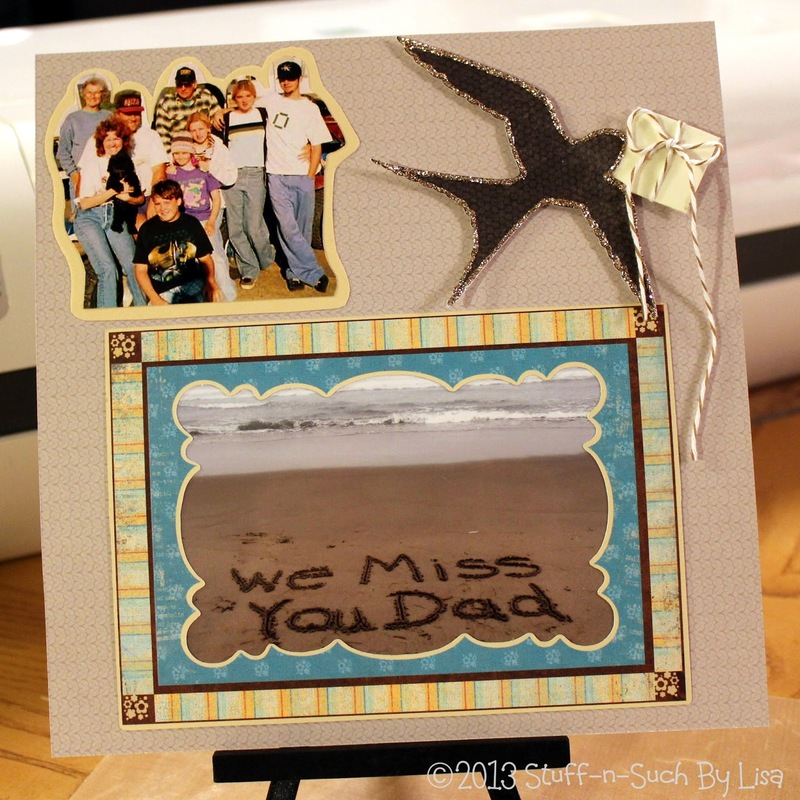 The challenge was not only to scrap about a sad moment in your life, but to include a "bird" in the layout somewhere. Well, this was key for me, as I have always felt that my father in law's soul takes the form of a bird and watches out for us all and checks in every once in awhile! I know some might think I'm crazy, but even if it isn't REALLY him, I believe it is God's way of letting us know that Ray is okay and is "checking in" with us! The reason I believe this is because soon after he passed, we took a trip to the ocean (mentioned above) and practically the entire way there, a beautiful bird was following us...very closely, like I had never seen before. It had a huge wingspan and was so graceful and pretty! I don't know a lot about birds, so I couldn't even tell you what kind it was, but it was there, gliding slowly back and forth above us. I think he actually DID make that ocean trip that year...and he wanted us all to know he was with us and was at peace! Whether it's true or just wishful thinking, doesn't really matter...we felt his presence and our souls were comforted...if only for awhile. This layout really doesn't do that trip justice as there were many people there...friends and family...and I took lots of photos, but I wanted to get something down for this challenge as it is close to my heart! 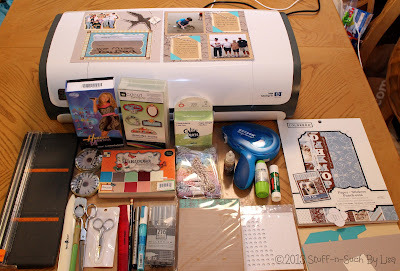 I plan on adding more to this layout/scrapbook later and I will update here on my blog when I do. I hope you enjoyed sharing my sweet memories of my father in law and will be inspired to maybe make a page about a sad time in your life when you feel ready. We miss you every day Dad...Rest in peace and may you always hear the beautiful sound of the waves on the ocean and the buggy's on the dunes! I am a big fan of the American girl dolls. 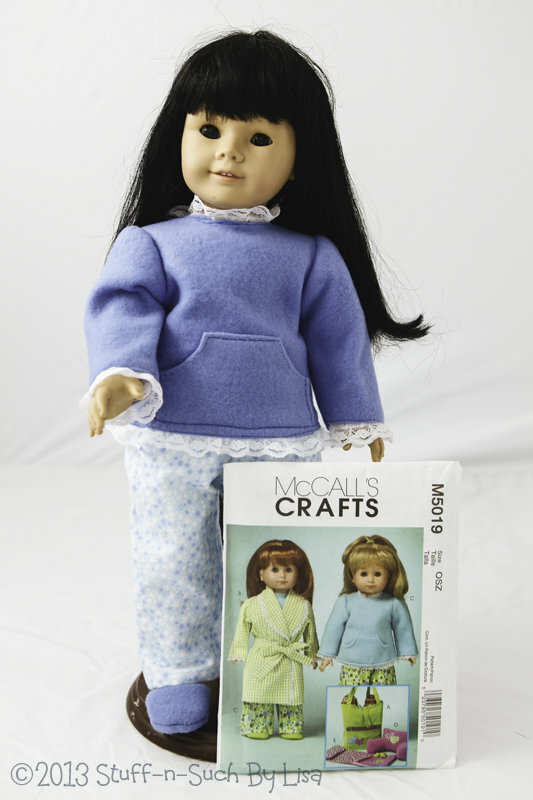 My daughter Beth had several of the dolls when she was growing up. She actually won a doll and a bunch of clothes and accessories one year when she attended an AG Tea Party with a friend! 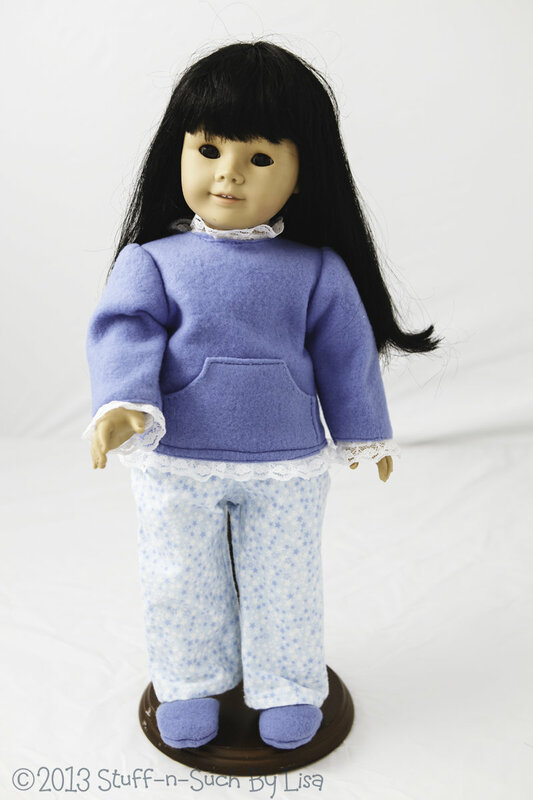 In fact, the doll I am using as a "model" in these photos is that very same doll! I believe this doll is from the first year that the Pleasanton Company came out with the "Just Like You" Dolls and I think it was 1995, but I could be wrong about the year, my daughter is now 26 years old and my memory is fading! LOL! Now that I have Granddaughter's and Nieces I am renewing my love for the Dolls through them and have recently been working on some special projects for the girls. 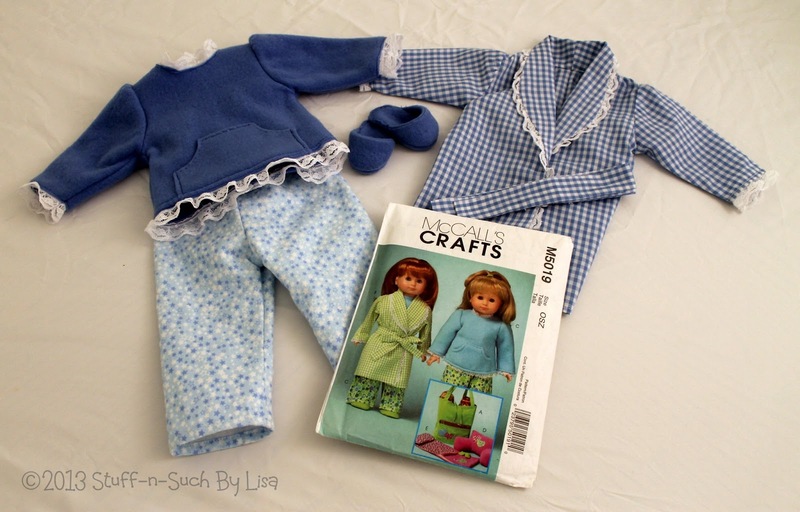 My latest project is this adorable pajama set from the McCall's pattern M5019. 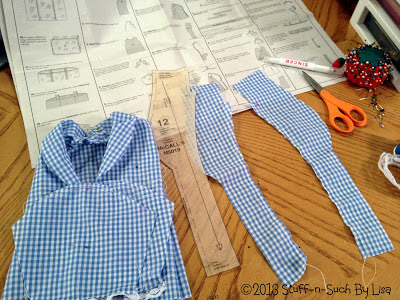 Even though I have been sewing since I was a child, I still consider myself to be at the beginner to intermediate level when it comes to this craft, because I have not done a whole lot of it until recently. Given that...this pattern was a tad bit difficult for me in some areas, but overall it was easy to make and I was excited to make it for my Niece "K". She handpicked this pattern/outfit from the one's I showed her and I wanted to get it right for her. The PJ pants were very easy to make and I used a flannel print that sewed nicely. Probably the most difficult part of this project was sewing the fleece. I had never worked with fleece before and was not quite prepared for the challenges it brings! Fleece can be difficult even on a full-size project, but...imagine using it in miniature! 1. 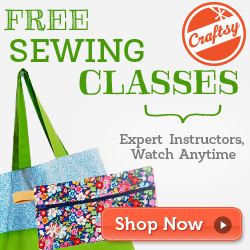 Be sure and use the correct needle for this fabric as it is thick and dense. 2. Go slow while sewing the fleece, it can jam in the feed dogs if you aren't careful. 3. It also helped to lengthen my stitch slightly, as it didn't jam as much and if you end up having to "rip-out" a mistake, it's less likely to damage the fleece. The tiny fleece slippers were tedious and I think next time, I will try a lighter weight fabric for those, like maybe felt. I made a video detailing how I made the second slipper, as I thought if someone else might be having the same issues I was, it might help them. 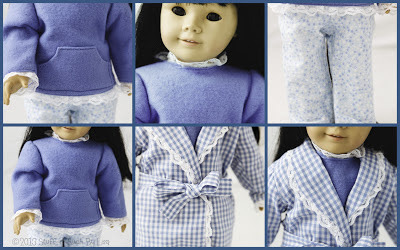 The robe was made using a cotton checked print and was easy except for the collar and lapel, which is always confusing to me when sewing any item, but the more I sew, the better I get at this. I just need more practice! 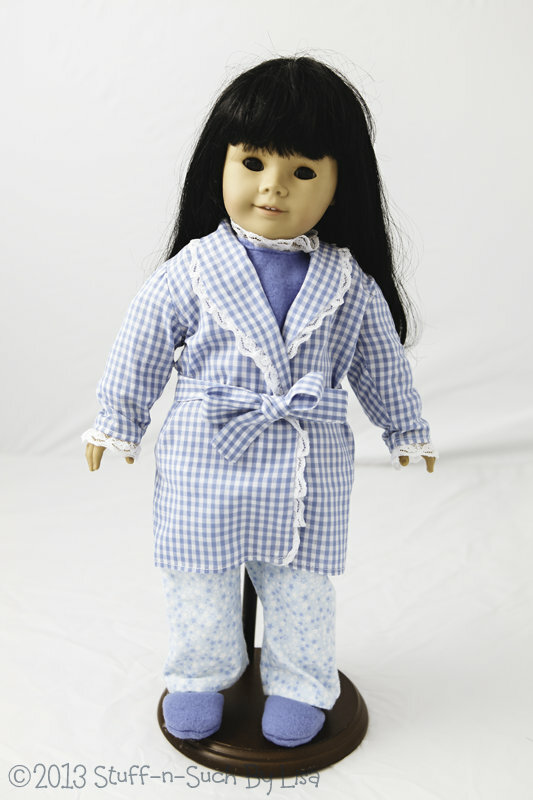 I will be giving this American Girl outfit to my niece soon and I will take some photo's to share with you all! 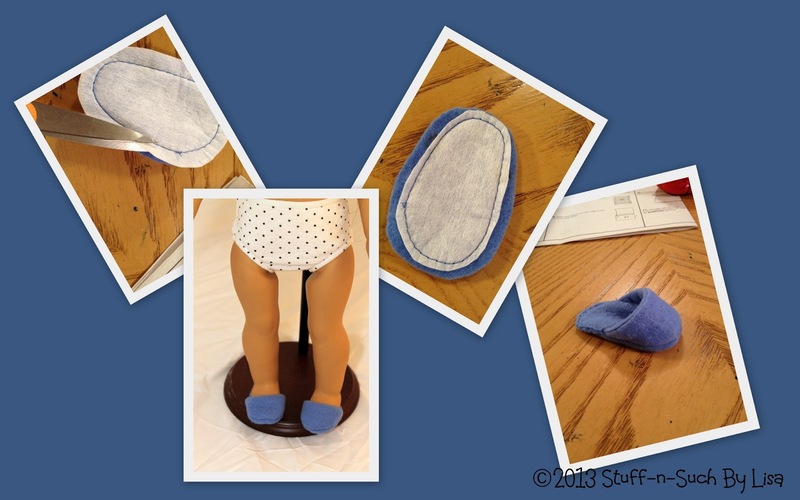 It was so much fun to sew this project, even with the challenges...as I love making things for my family and I love sharing with you all! 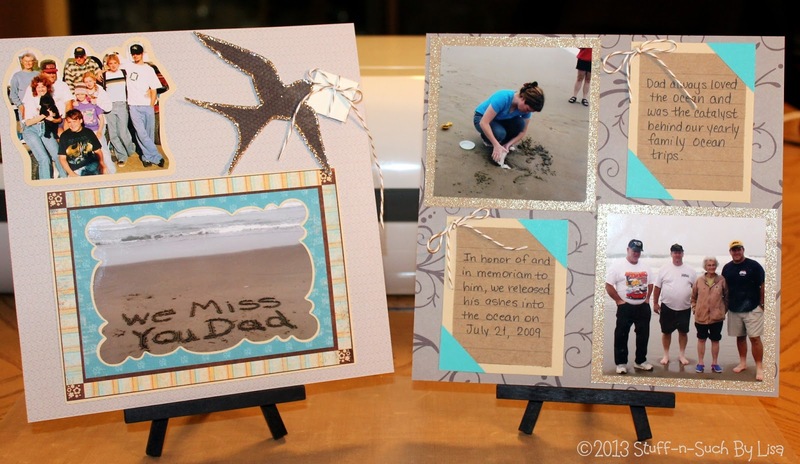 I want to say a special "Thank-You" to my daughter Beth who photographed most of this project for me! She is an awesome photographer and is so creative! If you get a chance, check out her photography site at: www.bethraper.com or her facebook page at: Beth Raper Photography. Thanks so much for stopping by to visit! Hope you all are having a great New Year so far! 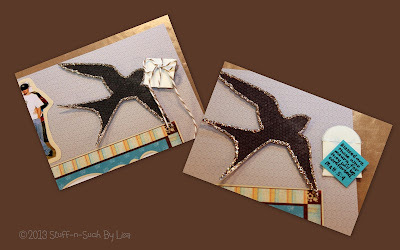 I've been wanting to get back into making cards lately and found the perfect excuse/opportunity to make one when I came across the latest challenge posted at Die-Cuttin' Diva's! The challenge did not call specifically for a New Year's Day card, but I've never made a card for New Year's and the timing is right, so I went with it! 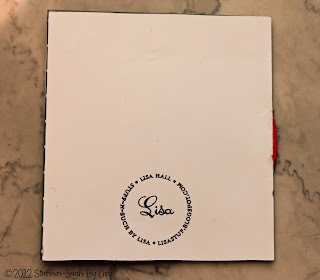 I just recently purchased the "Lori's Garden" Imagine Cricut Cartridge and noticed that it had a cute ladybug diecut on it. 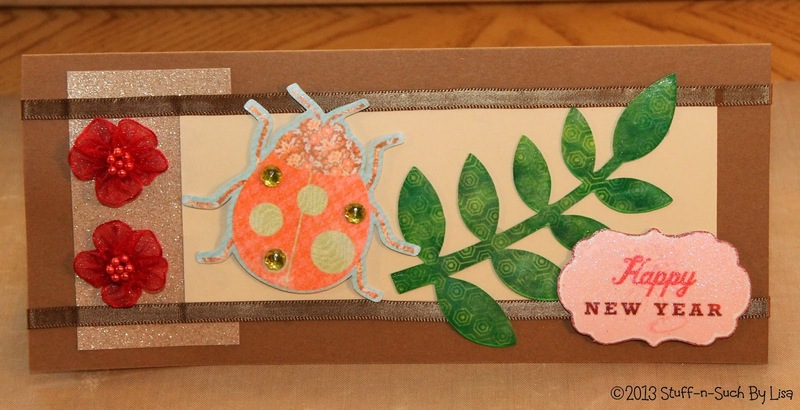 I had somehow remembered (back in the dark recesses of my old mind somewhere...) that ladybugs were considered "Good Luck" in some cultures, so I thought it would be appropriate for a card ringing in the New Year! I used the Cricut "Create a Critter" cartridge to cut the leaf and the "Enjoy the Seasons" Imagine Cartridge for the pattern on the leaf. 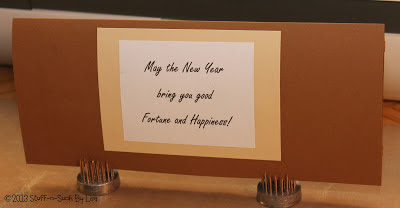 The "Happy New Year" sentiment was cut using "The Good Old Days" digital cartridge from the Cricut Craft Room. I heat embossed all of the die-cuts using clear embossing powder and embellished the ladybug with some little green gems to give him some bling! For the final touch, I added some brown satin ribbon and pretty sheer ribbon roses to dress the card up a bit. I added a short sentiment on the inside also. I wanted to be sure and make this card a standard size, so it would fit in a purchased envelope, so I made it 4" x 9-1/4" which fits perfectly into a standard business size envelope (4-1/8" x 9-1/2"). 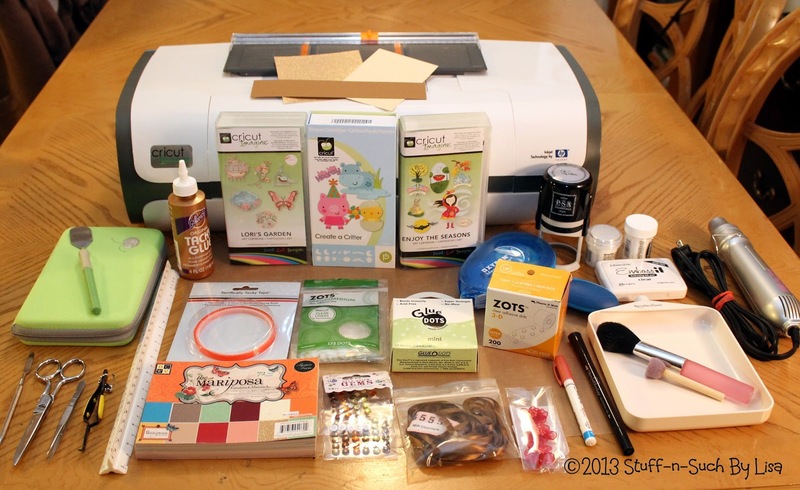 Hope you enjoyed my post and if you get a chance, stop by and see all the great cards from this challenge at the Die-Cuttin' Diva's! I know this is a bit late...since it's a "Christmas" themed post...but I was so darn busy during the Holidays, I found it almost impossible to get the photo editing and post ready to go before now...so here it is...a little bit of Christmas in January! 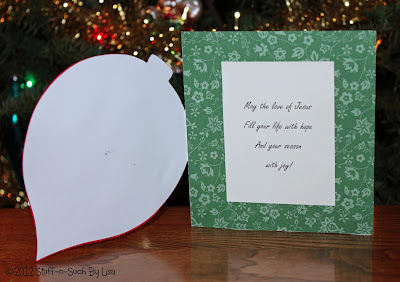 Recently a bloggie friend, Rhonda Greene ( mrsgreene.info ) posted a very heartfelt plea for cards that really touched my heart. Her Grandmother has cancer and is not expected to see another Christmas, so she asked for cards to be sent to her this Christmas. 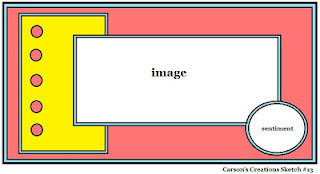 If you would like to read her story, click here. I really wanted to make a "homemade" card for her, but wasn't sure if I could get it done in time to get it mailed off and to her by Christmas, so I said I would most certainly send a card, but wasn't sure if it would be homemade or not. 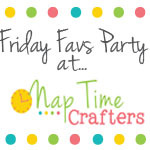 I pulled out my Cricut Expression, (which I haven't used in quite a long time) and went to work! I knew that I had tons of Christmas stuff on various cartridges, so I figured that would be a great place to start. It is not as neat as I would have liked it to be, but overall, I was pleased with how it turned out. I liked that it was a "shape" card and the patterned paper added a nice touch to set-off the ornament! The ornament shape and sentiment were cut from the Cricut "Wild Card" Cartridge using my Cricut Expression. The ornament and "Merry Christmas" sentiment are found on page 74 of the Wild Card booklet. I inked the edges of the ornament shape and the sentiment to make them stand out a bit. I used a little sprite/sparkle stamp to make the decorations on the ornament, though they are very light and a bit hard to see in the photo. 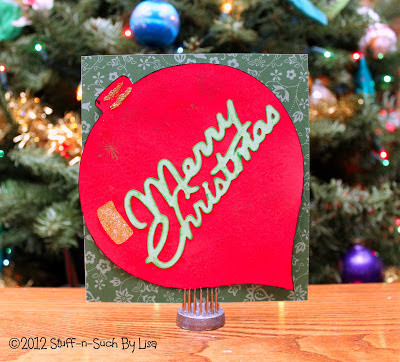 I also added a touch of glitter just to make the card "pop" a bit without being too gaudy. For the inside of the card, I found a sentiment/poem from an old Christmas Card and typed it into Microsoft Word and then printed it out on light weight cardstock and trimmed it to fit inside the card. 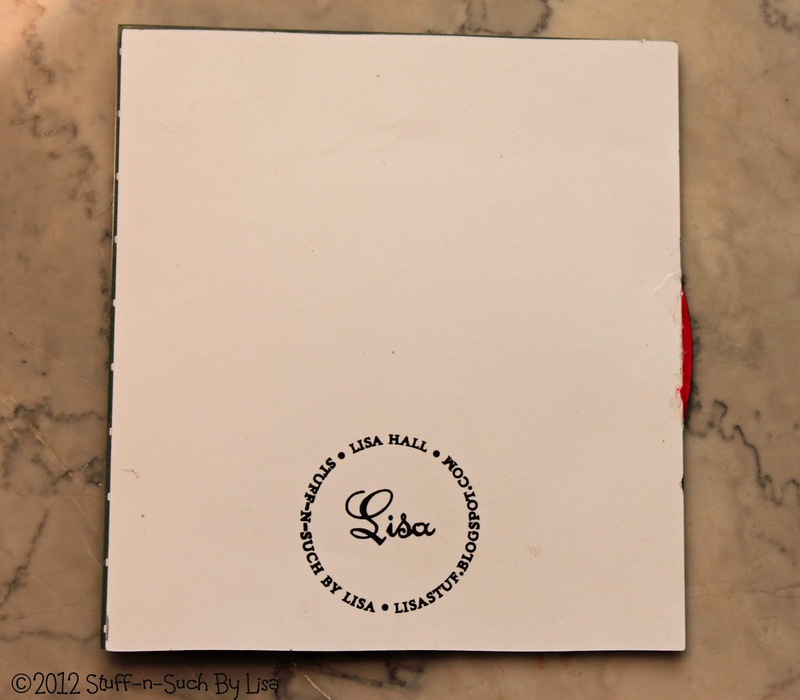 For the finishing touch, I added my name to the back of the card using my customized Peel & Stick Stamp made by PSA Essentials. I finished the card just in time to get it mailed off via Priority Mail to arrive in time for Christmas! Zig 2-way Glue Pen, Squeeze & Roll, Fine Ball Pt. 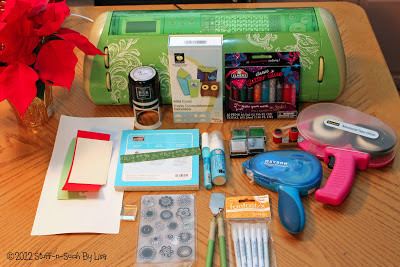 Hope to be back soon with another post...my New Year's Resolution is...POST more to my blog this year! Thank-you to all my loyal followers for sticking with me, even when I go awhile without posting. You are AWESOME and I LOVE YOU!